Do you want to practice your Spanish speaking skills? Sign up for a free Trial Class! Find out who is behind ConvoSpanish; a project with the belief that a language is better learnt through practice rather than just memorization. Learn here about ConvoSpanish online Spanish classes. Practice your Spanish speaking skills from anywhere! 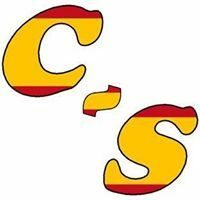 Find here free articles with audio that will help you with the process of learning and practicing one of the most spoken language in the world; Spanish. In my experience, I have found that the best way to learn a language is through practice, instead of just attending courses and memorization. Spanish from a native speaker from Spain. Focused on practicing speaking and listening skills. Online learning: Don’t waste time commuting! Free trial class and exclusive discounts when you subscribe to ConvoSpanish newsletter. Online conversation classes: Practice your speaking and listening skills (individual classes or group classes). Spanish blog: Practice your listening skills for free! Inés is an astute Spanish teacher. She is very knowledgeable, is very astute, and pays attention to detail. She listens, converses, provides proper Spanish grammar and pronunciation, and prompts me to talk more so that I am practicing more. My Spanish has improved a lot from the sessions with Inés and I highly recommend her!